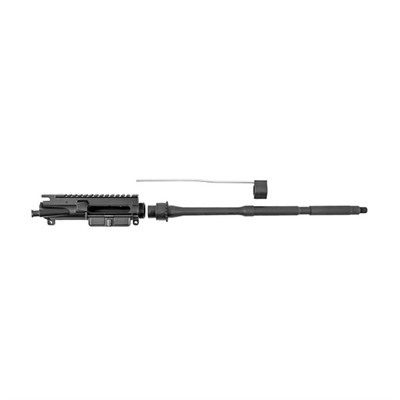 We found a great deal on the Double Star Ar-15 16″ Ds-4 Barreled Upper With Low Profile Gas Block for only $279.99 at Brownells. Double Star Upper with 16″ DS-4 Barrel, ready to be your next build’s foundation. DS-4 barrel features a 1-9 twist, M4 feedramps and a matte black, phosphate finish. Barrel is chambered in 5.56x45mm NATO, and does not have chrome lining. Flat top upper receiver is ready for the attachment of Picatinny accessories and barrel. Carbine gas tube and barrel assembly are ready for your choice of handguard and muzzle device. Muzzle is threaded 1/2-28, for attachment of standard AR-15 devices. Low profile gas block installs onto the barrels .750″ OD gas shoulder. Upper features standard GI barrel nut. 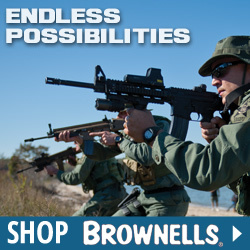 DOES NOT INCLUDE: Bolt car Mfg: Double Star SPECS: Fits – Standard AR-15/M16 components. DOES NOT INCLUDE: Bolt carrier group, charging handle, handguard, muzzle device or crush washer.